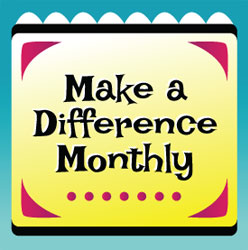 I'm joining Maria from Be the Difference for "Make a Difference Monthly". This month's focus is on CARING, and the timing is perfect for me because I just finished reading Conscious Discipline and the second to last chapter was all about empathy. "Melissa, age six, hates when anyone gets in her very large personal space. One morning during opening circle, Cassandra sits on Melissa's carpet square. Melissa goes crazy. She throws herself on the floor kicking and screaming. Mrs. Brookes takes several deep breaths and tells herself, 'This moment is at it is. Relax and solve the problem.' She starts describing what she sees. 'Melissa, your arms are going like this (demonstrates).' Melissa continues flailing her arms and hollering. Mrs. Brookes ignores the words and focuses on her body. 'Your face is scrunched up.' Mrs. Brookes makes her face as much like Melissa's as possible. Melissa looks up briefly and makes eye contact with her teacher. Mrs. Brookes continues to actively calm herself and says, 'Your whole body is telling me you feel angry.' Melissa looks at Cassandra and shakes her fist at her. Mrs. Brookes facilitates this communication because of Melissa's language delays by saying, 'Cassandra, Melissa shook her fist to tell you she was angry when you sat on her carpet square.' Mrs. Brookes continues to help Melissa move into problem solving. 'You wanted Casssandra to move off your square. When you want her to move say: Move, please. Tell her now' Melissa is able to say, 'Move.'" I love how Mrs. Brookes stays in control of herself while offering compassion to Melissa. Notice how she calms herself first, and then reflects back to Melissa what she (Mrs. Brookes) sees. This is to help Melissa calm down and to know that she is not being abandoned at this crucial moment in her life. And while all this is going on it's a superb lesson for the rest of the class on how to be caring and compassionate to people who have lost control. 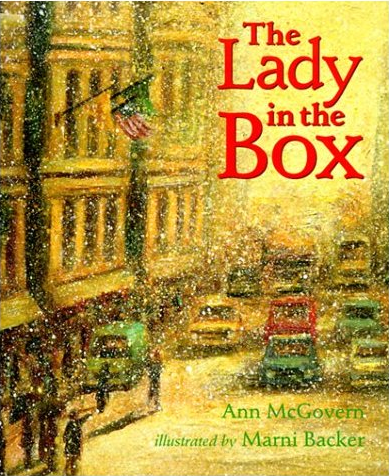 The Lady in the Box is a beautiful story about two children who take it upon themselves to give a homeless lady food and warm blankets. This book is perfect for helping to instil values of caring and compassion. I read it to my class every year and they're always enchanted with it and keen to share other ways of helping people. Thanks for the poster! I'm reading CD right now and love how it's affirming what I do already and giving me language to explain and further my approach! I'm looking forward to getting my hands on The Lady in the Box! You keep giving me more reasons to get this book! Thanks Barbara. I need to get this book. And then I need to read it! OK, I have to see this book! And I've pinned the adorable mini-poster; thanks! This book sounds like a great one! Thanks for the reminder to relax before dealing with the situation!